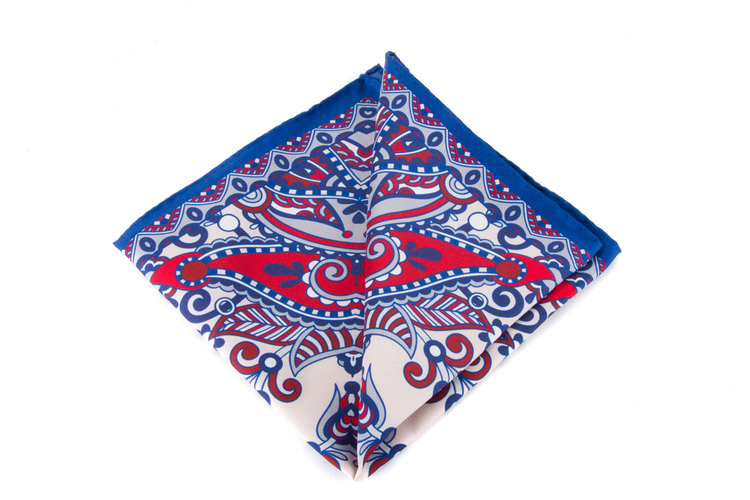 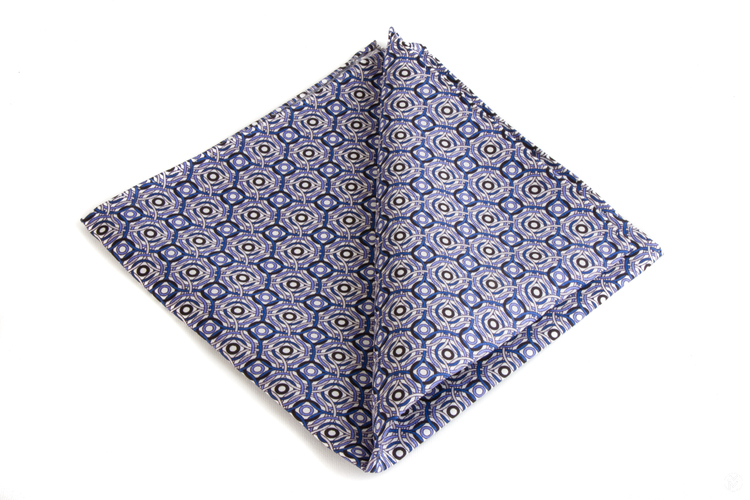 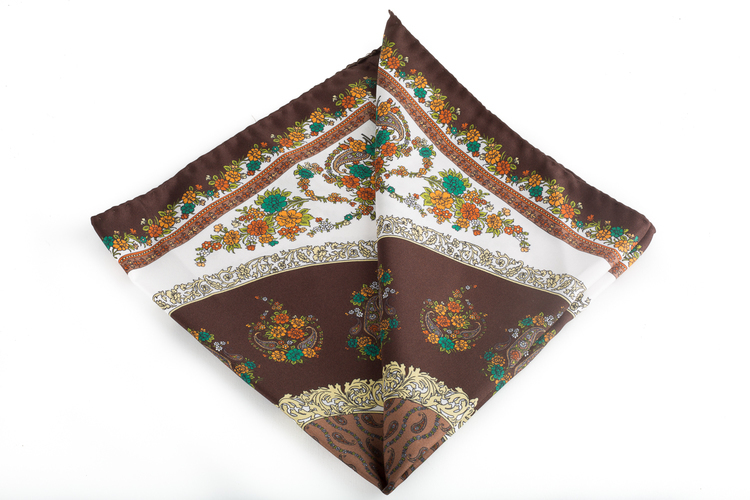 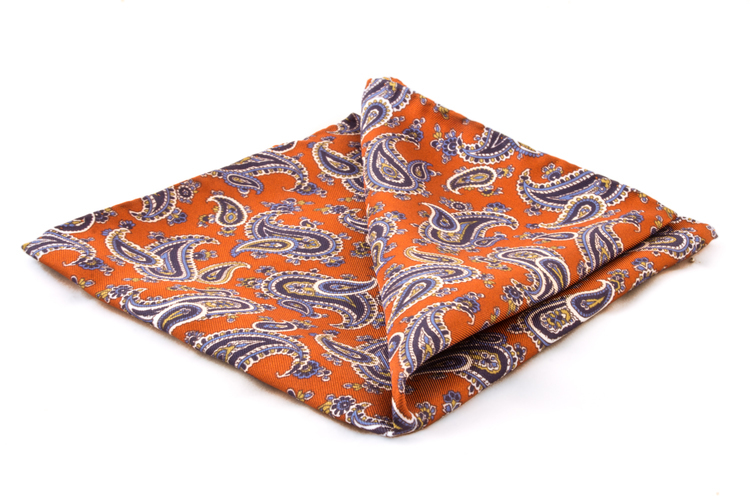 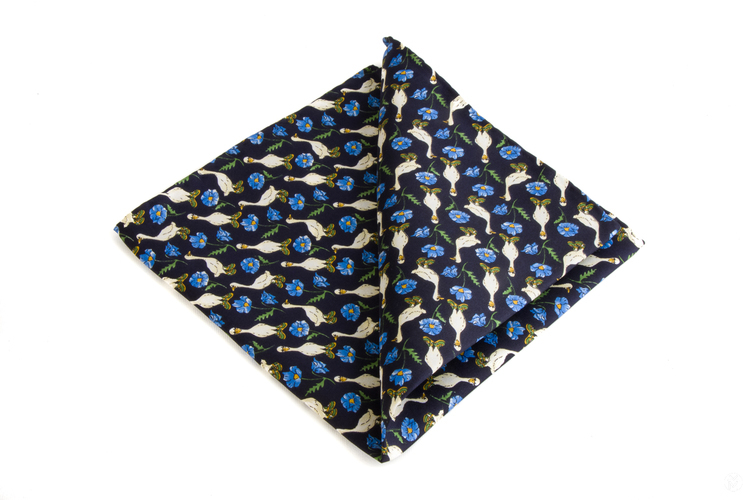 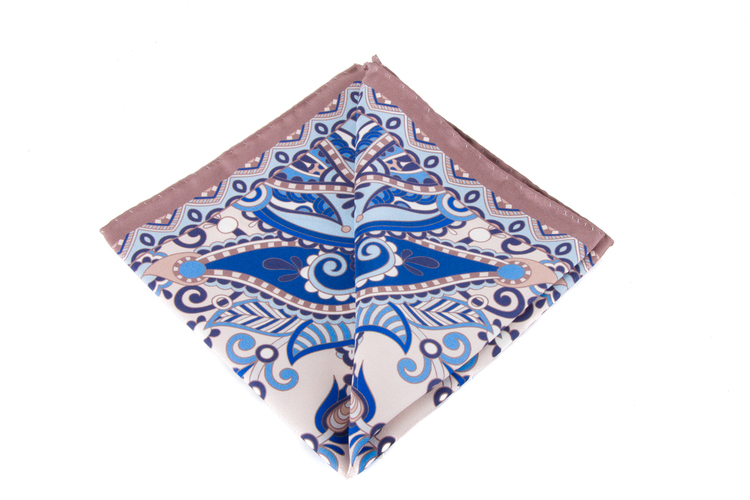 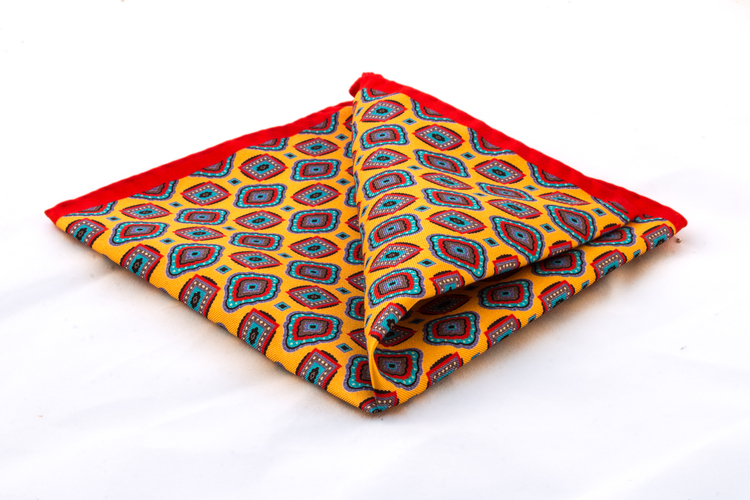 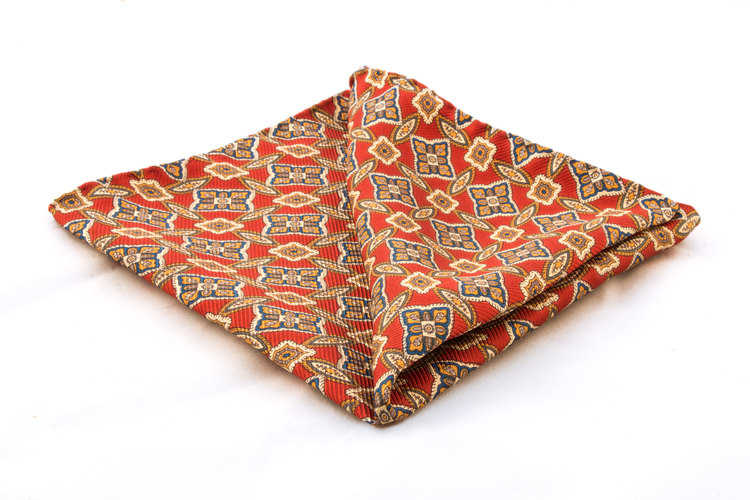 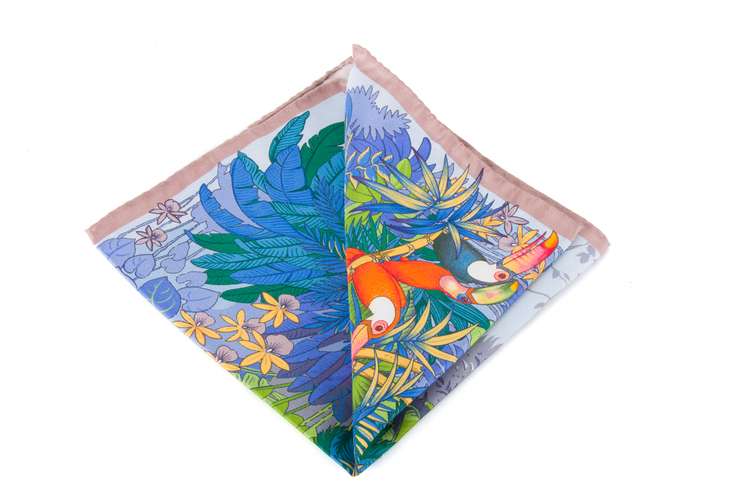 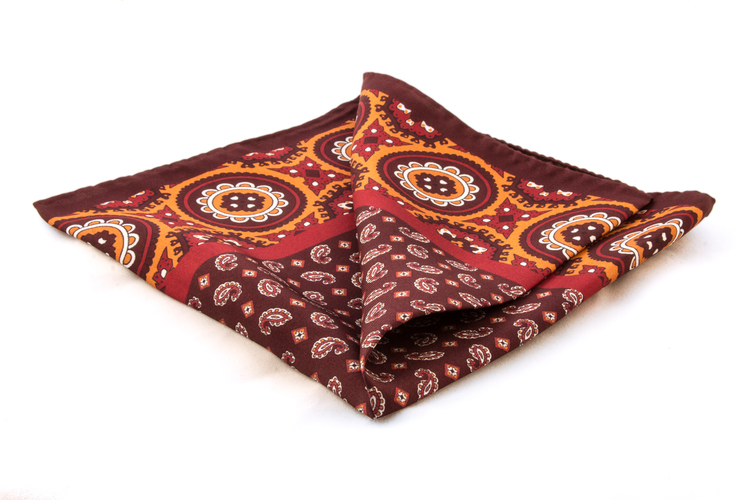 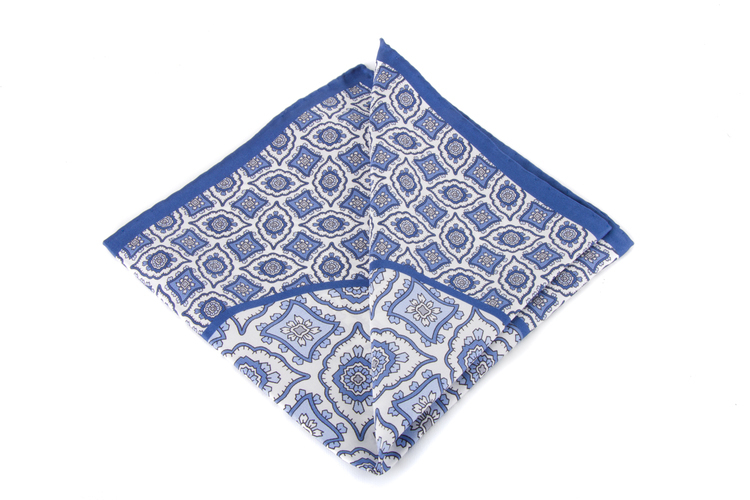 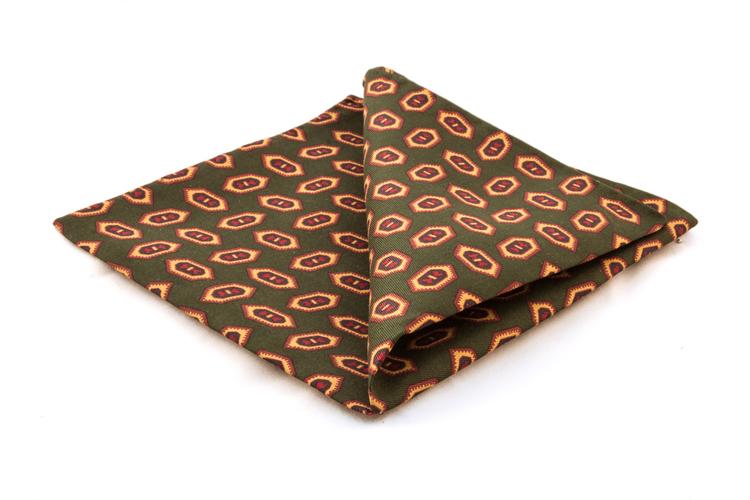 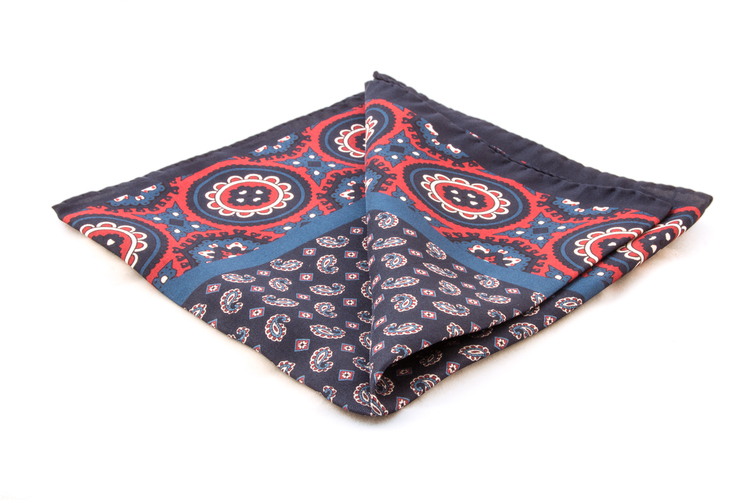 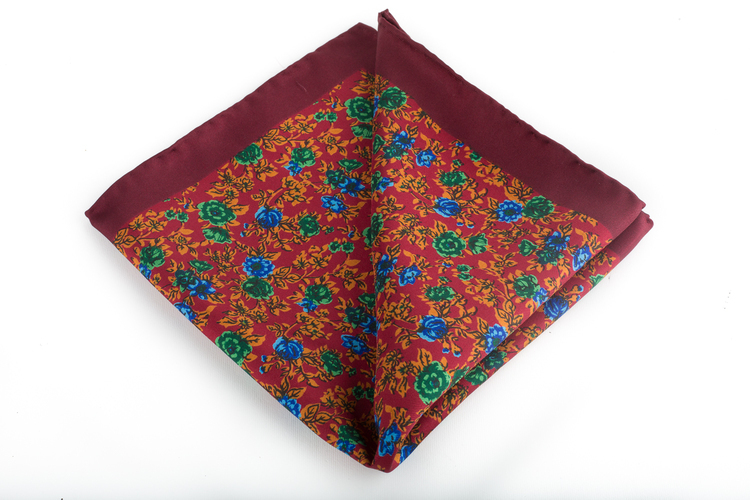 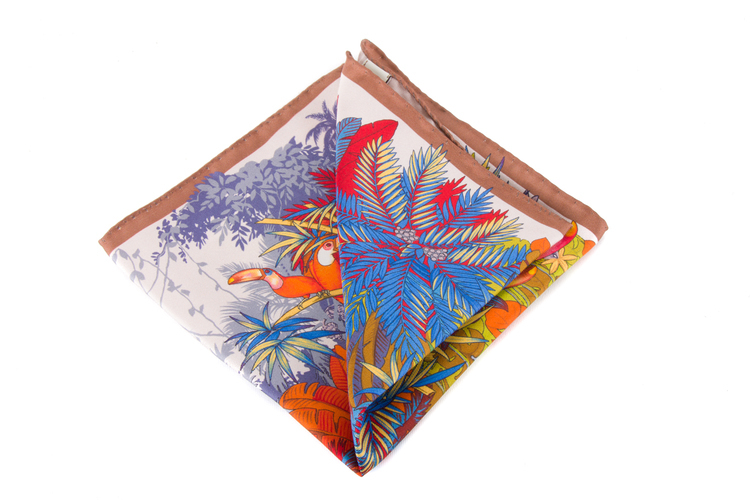 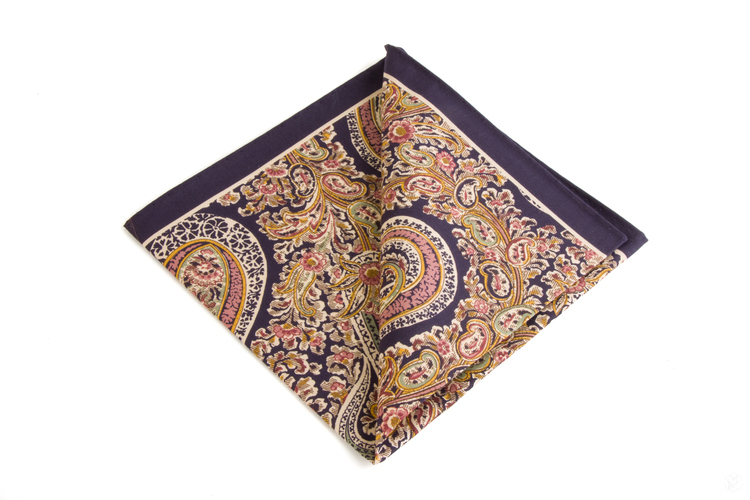 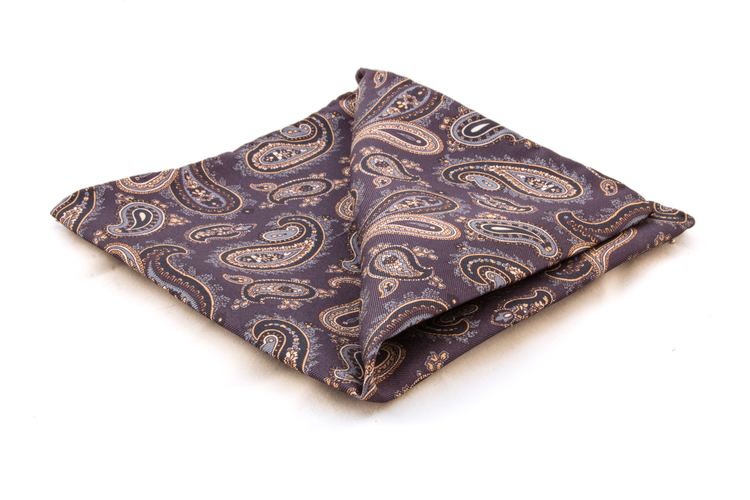 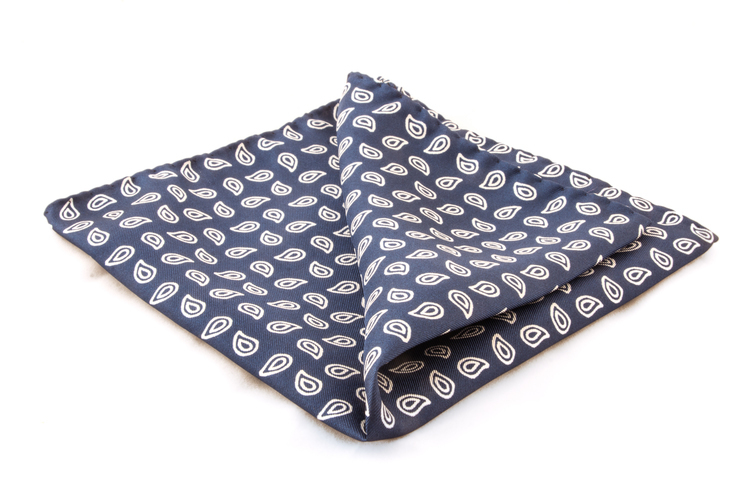 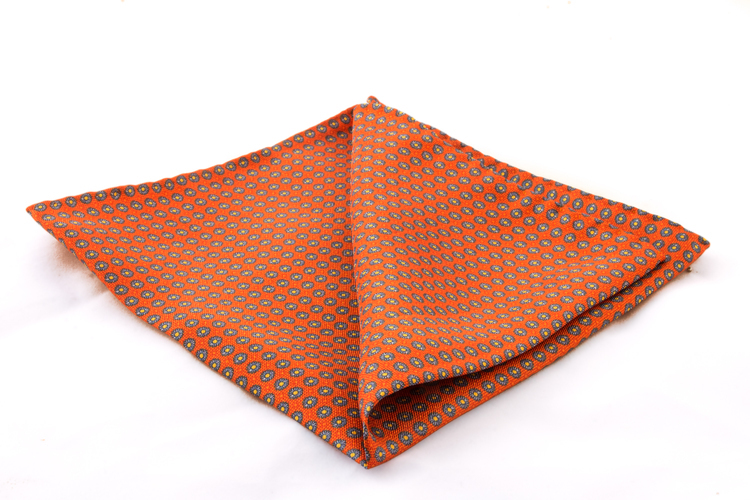 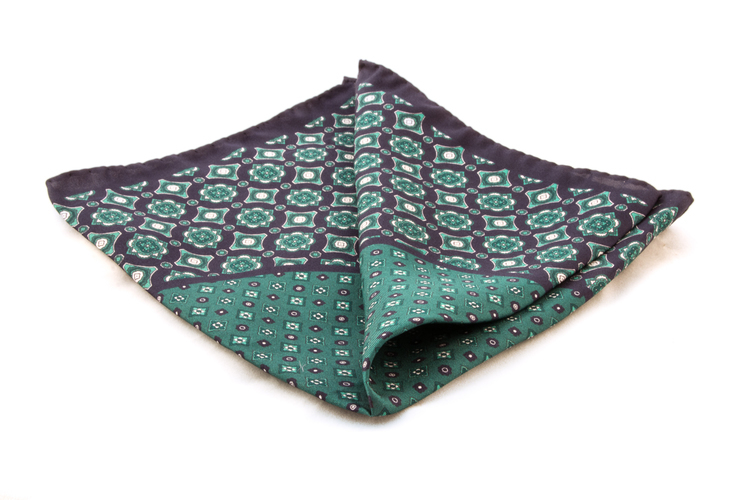 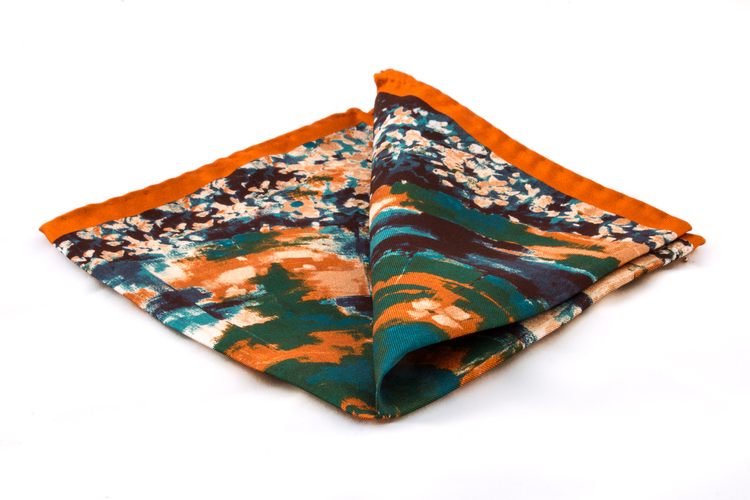 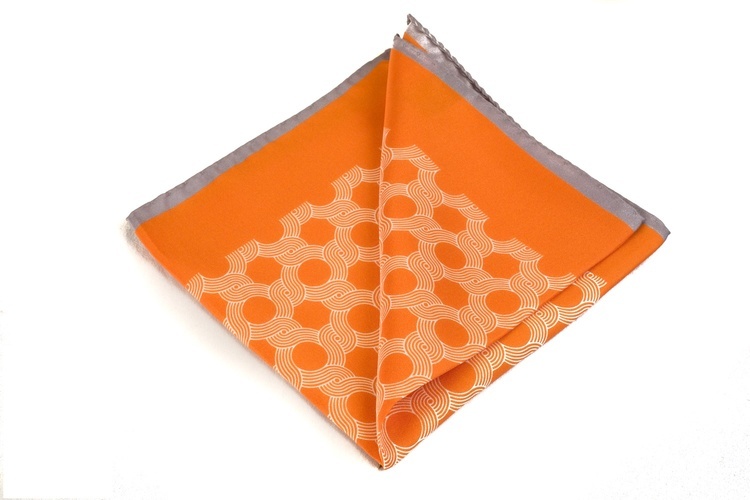 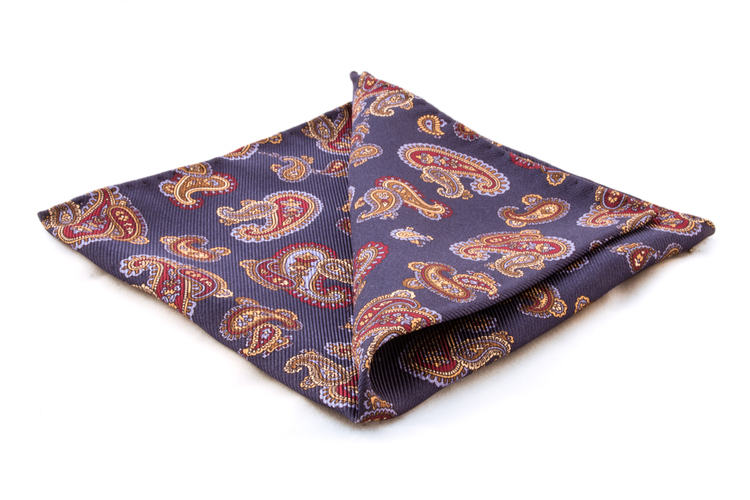 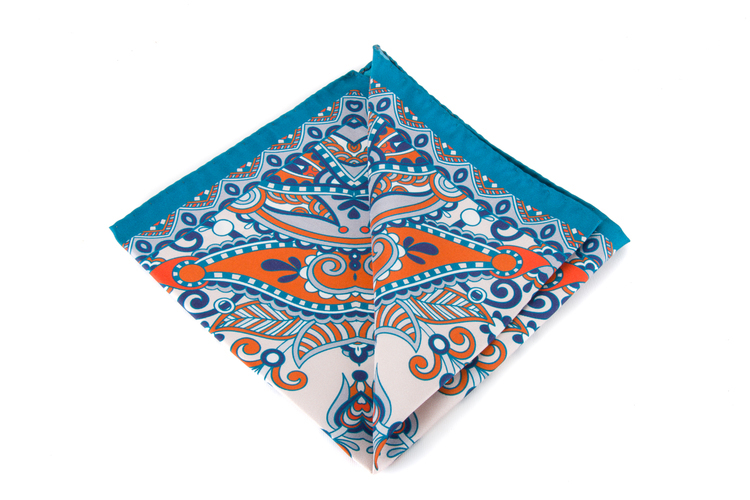 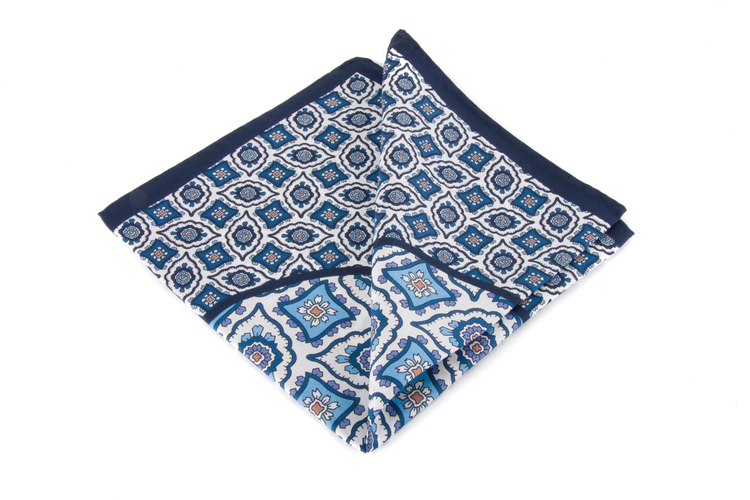 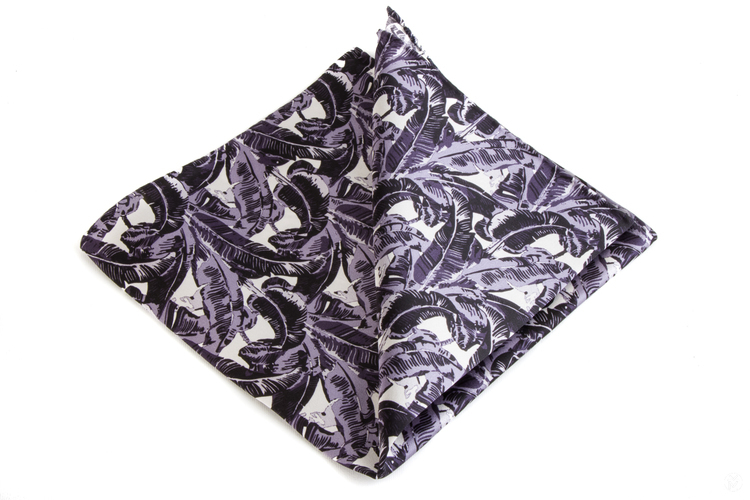 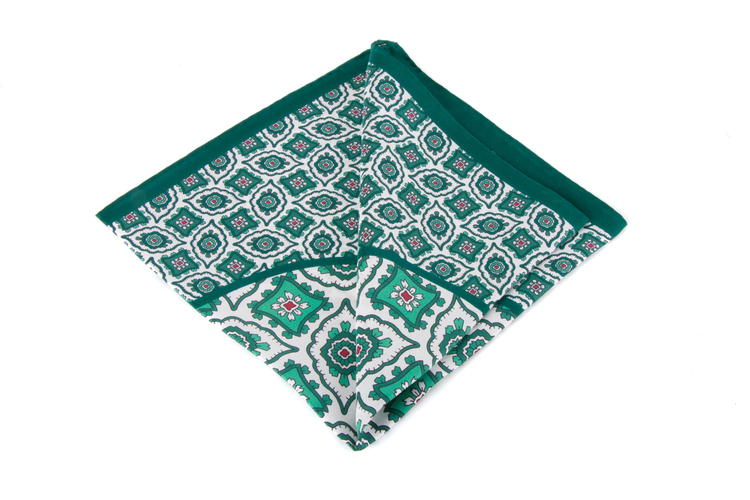 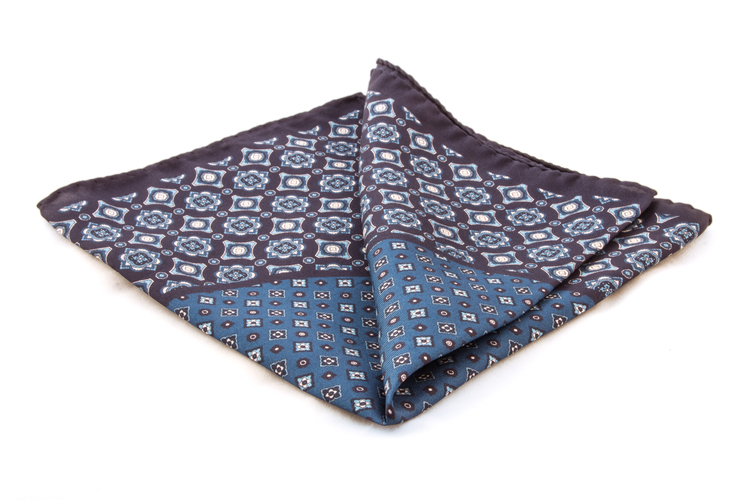 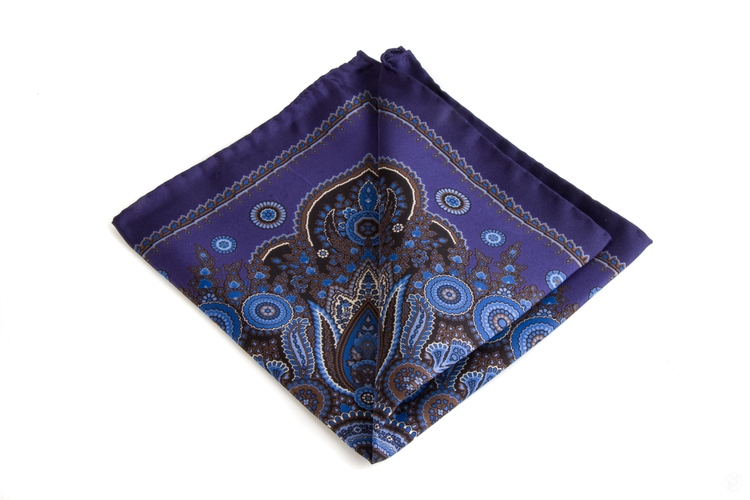 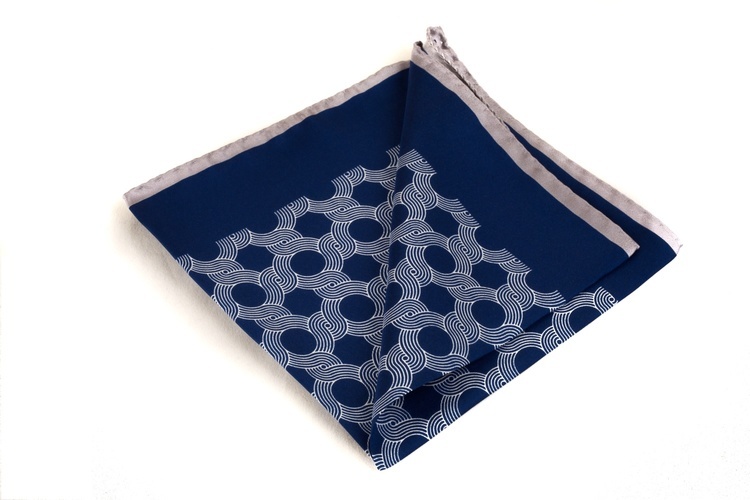 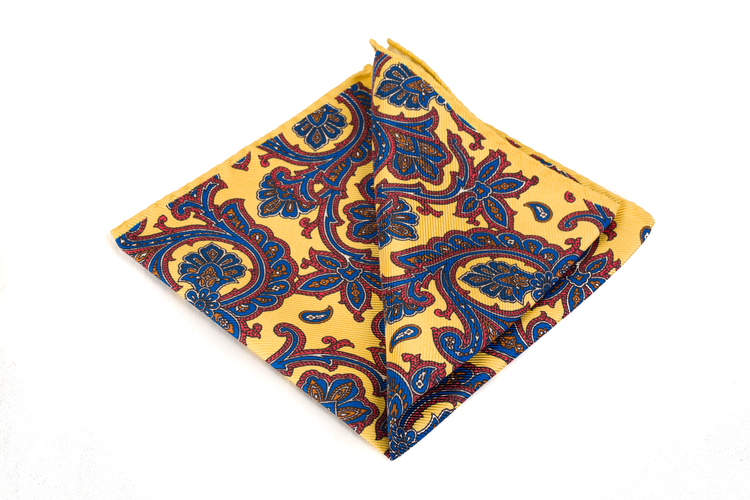 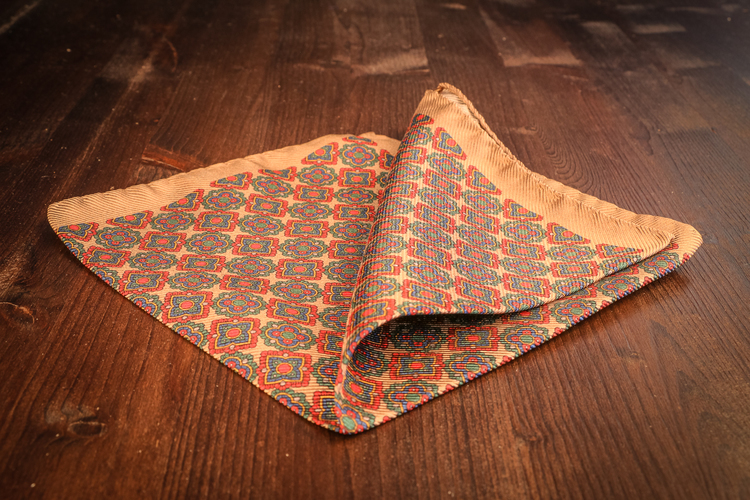 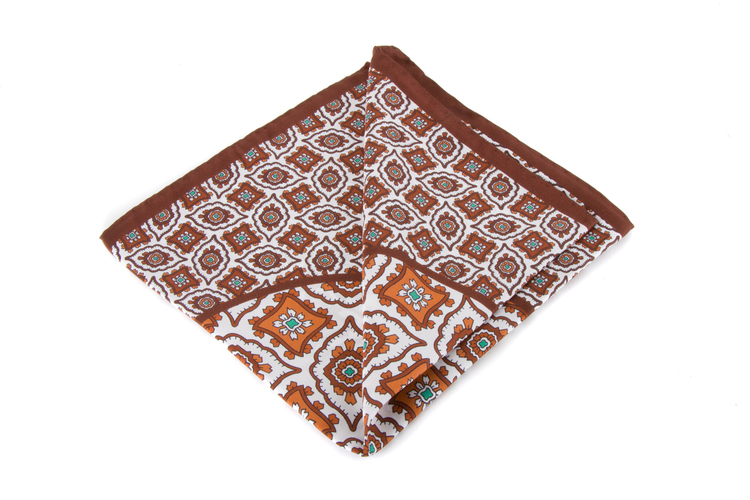 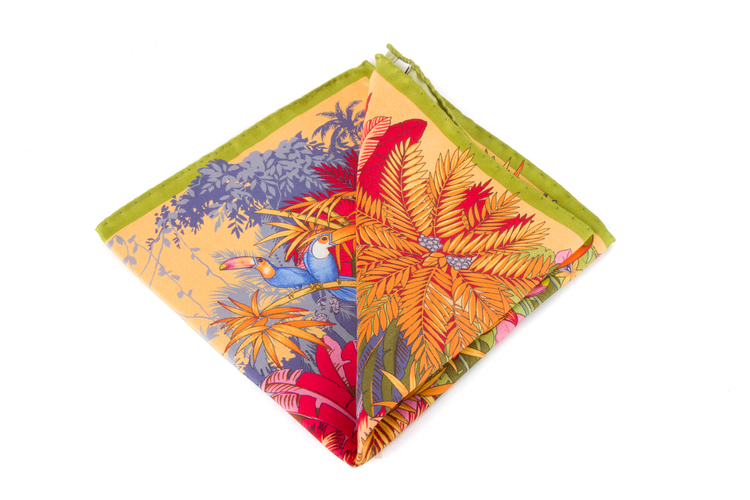 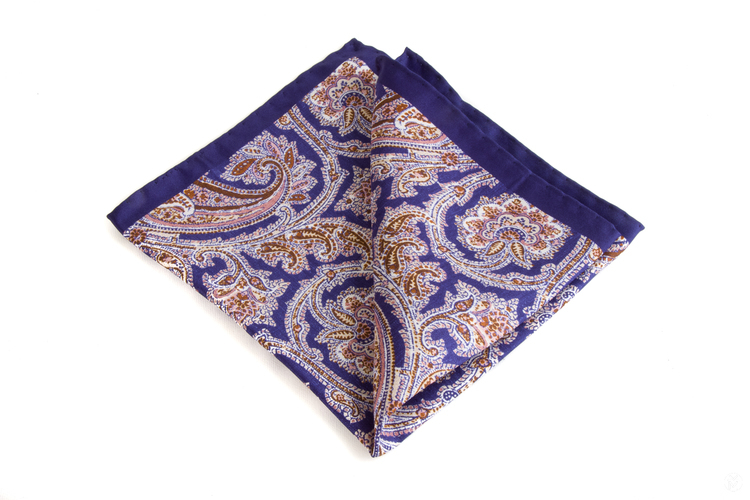 Silk pocket squares with printed or woven patterns. 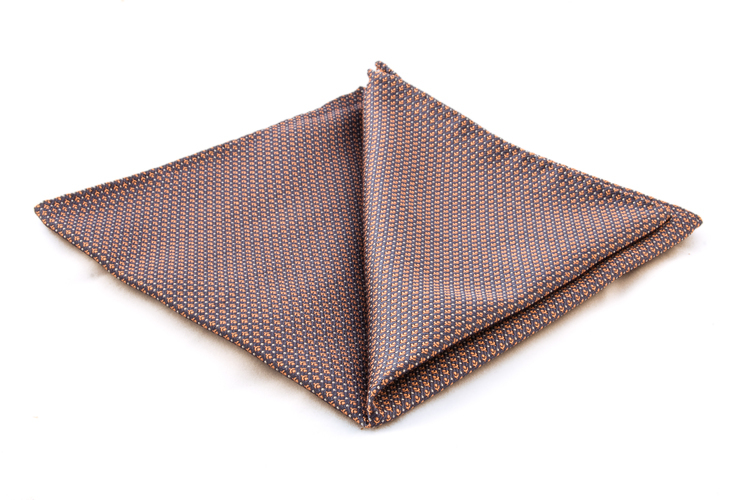 We use fabrics from Como or Adamley (UK). 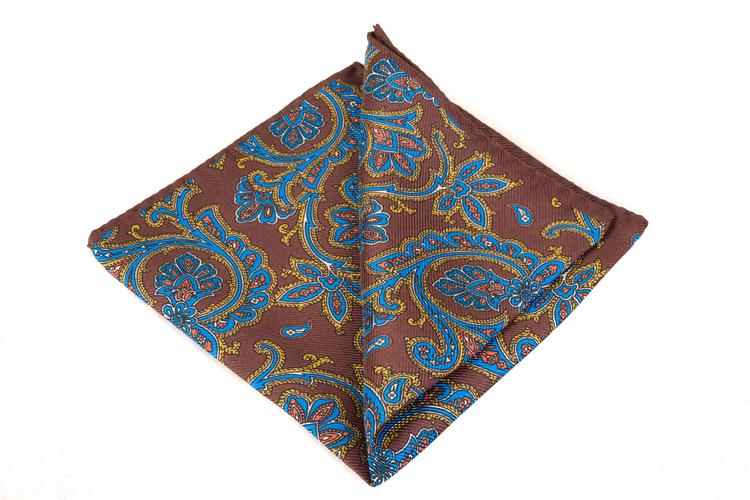 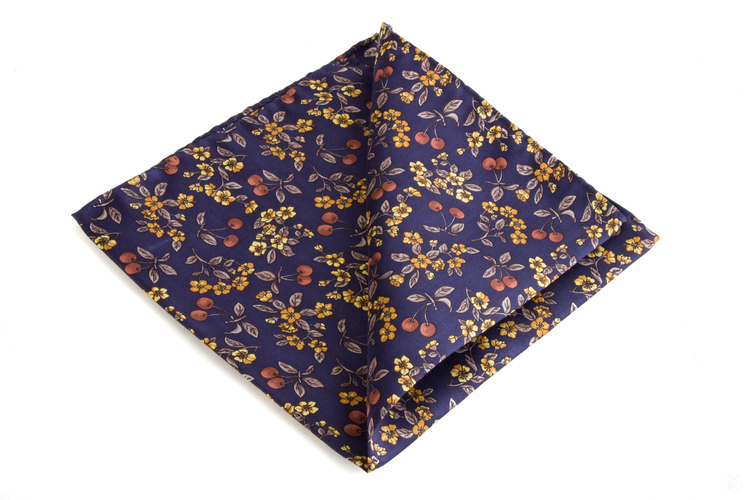 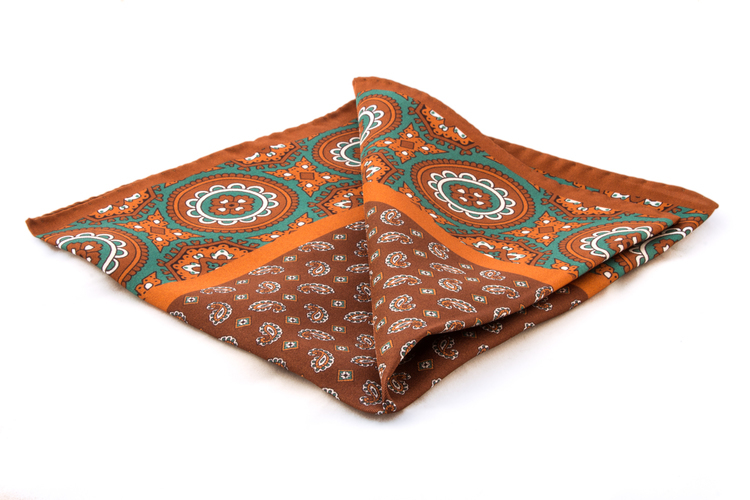 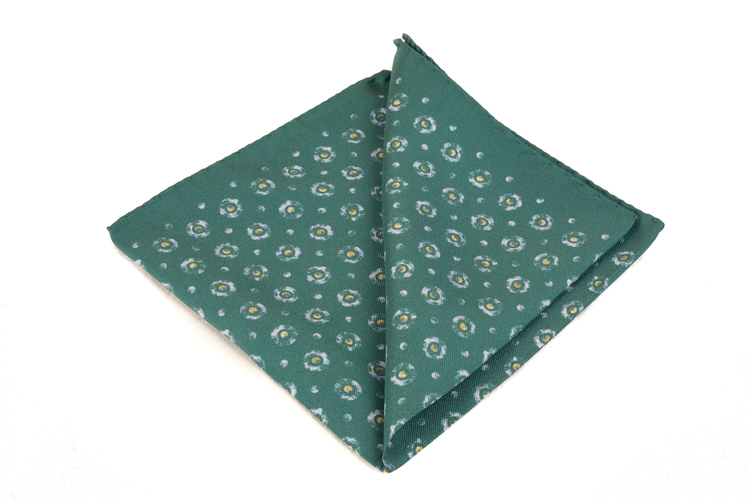 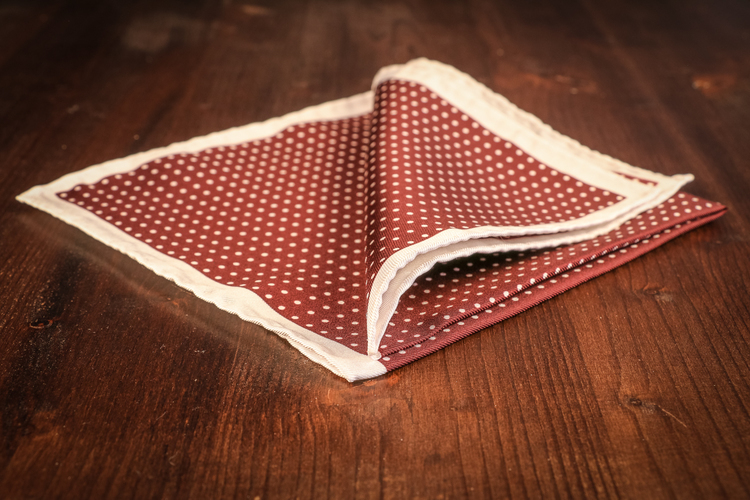 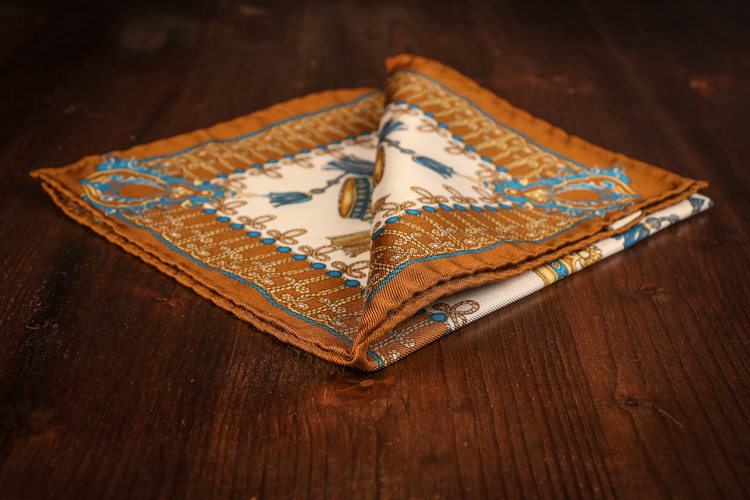 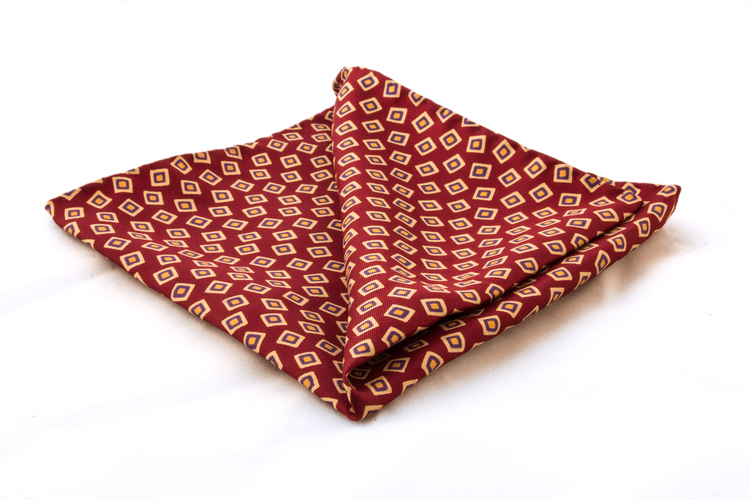 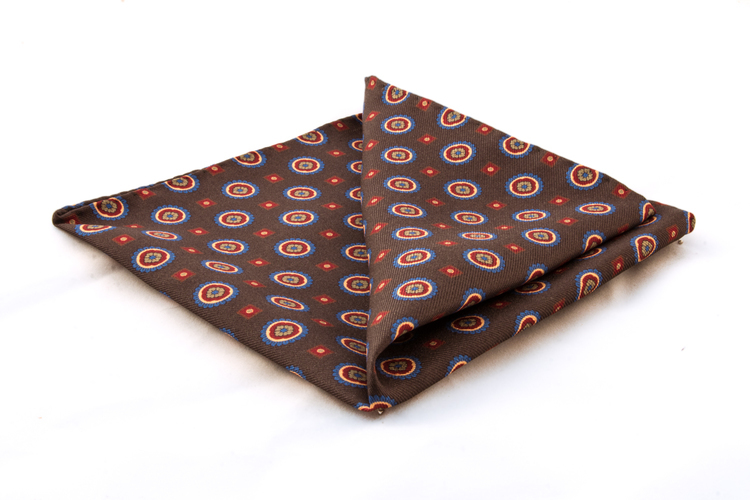 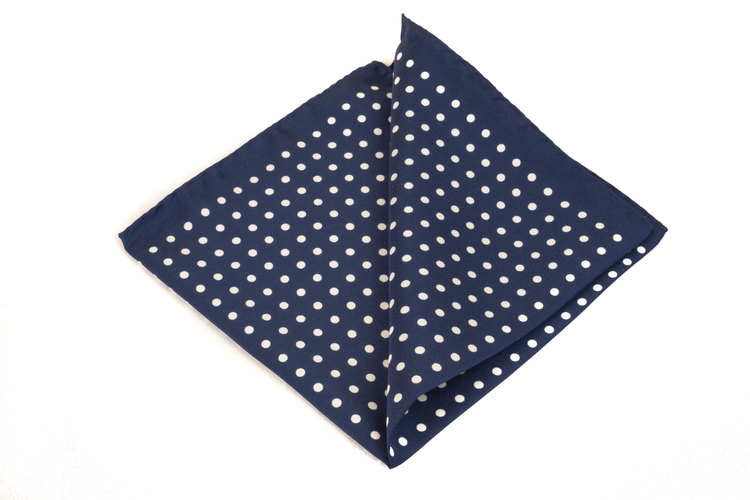 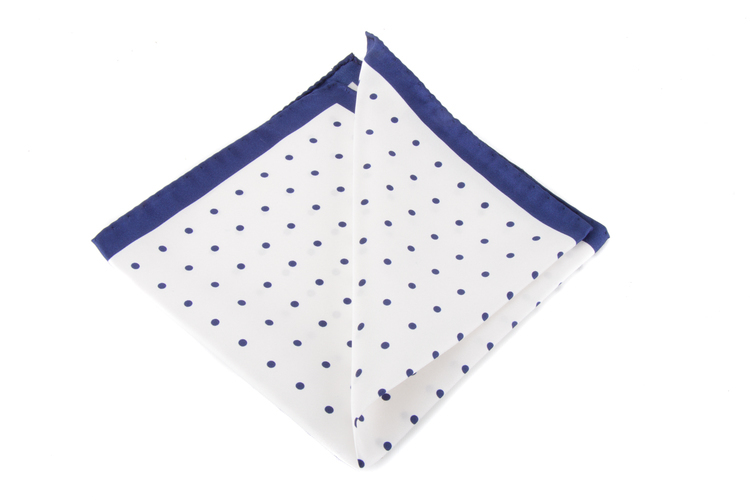 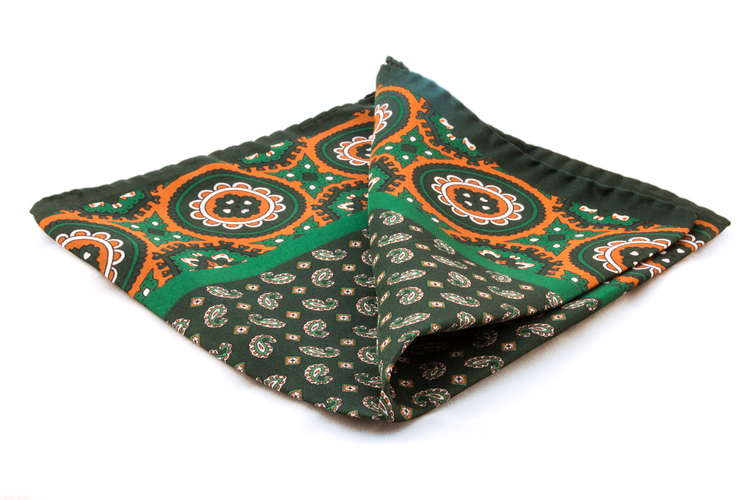 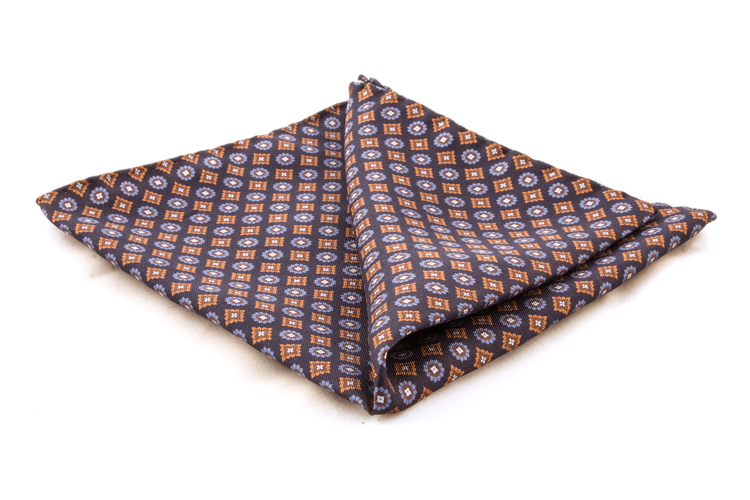 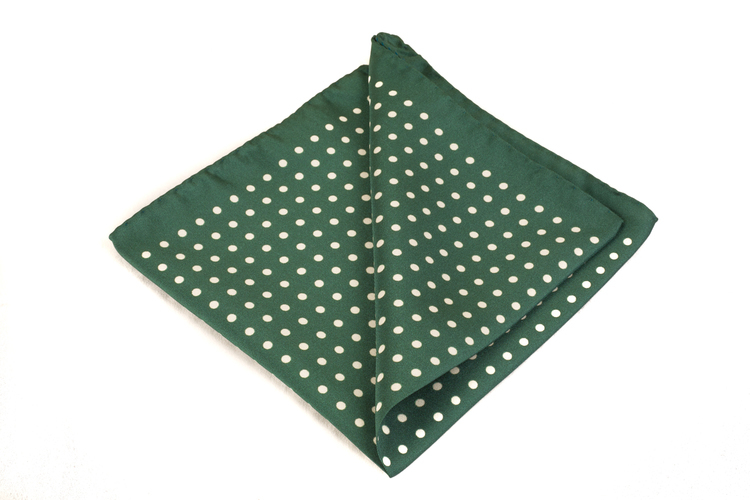 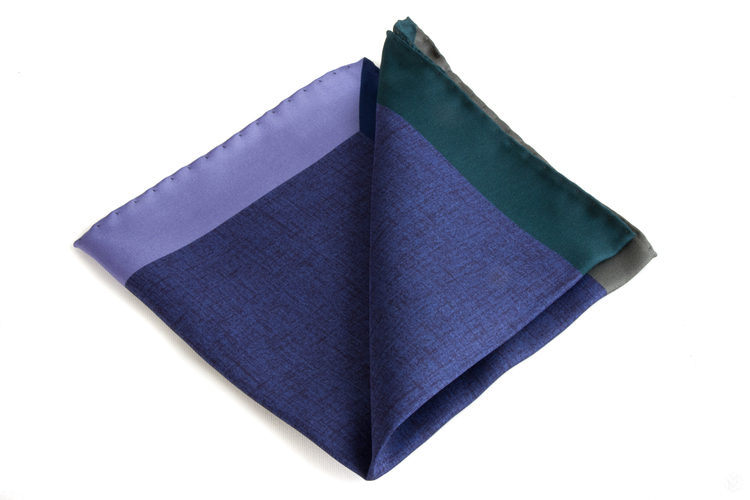 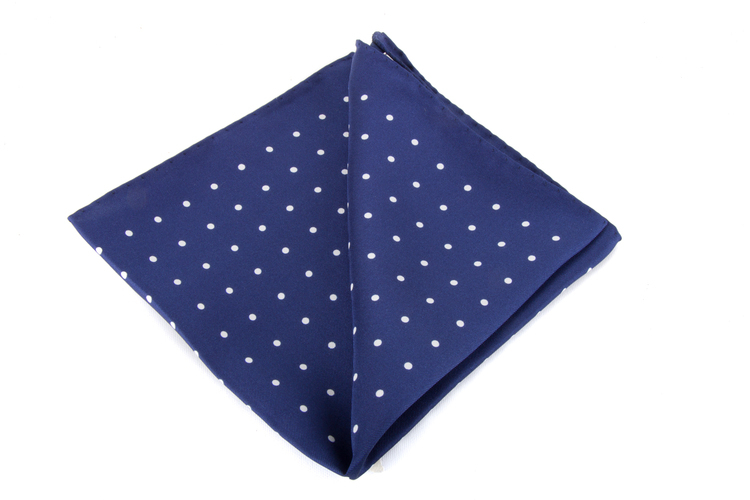 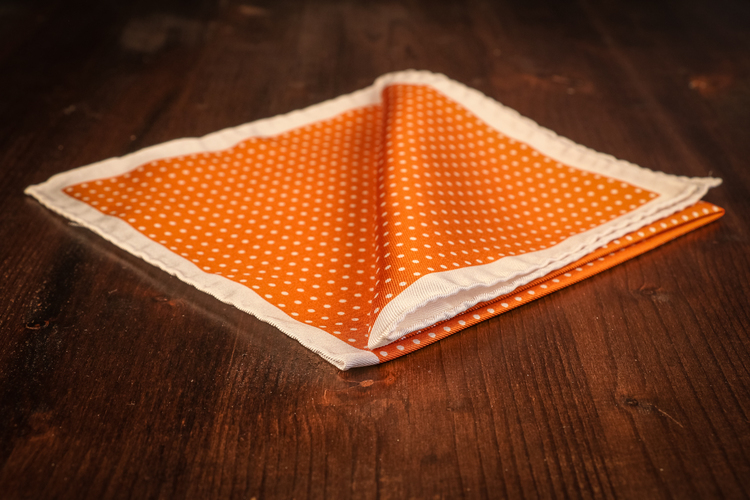 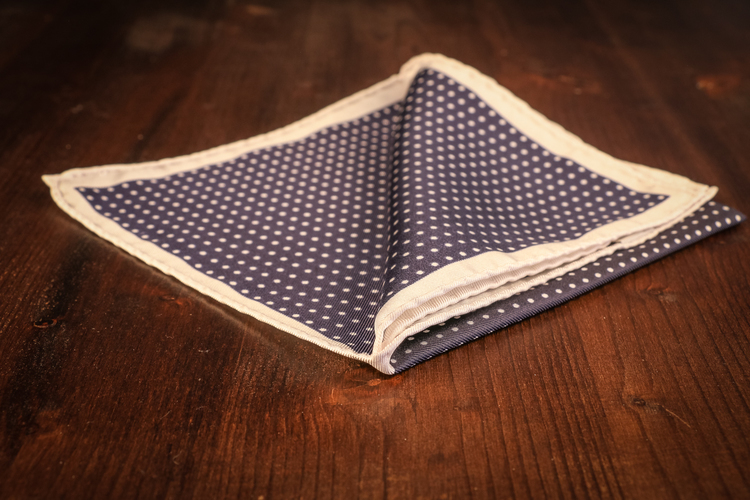 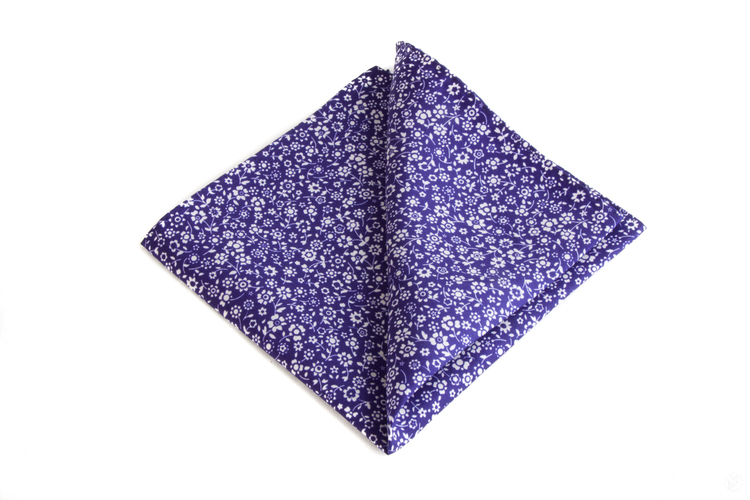 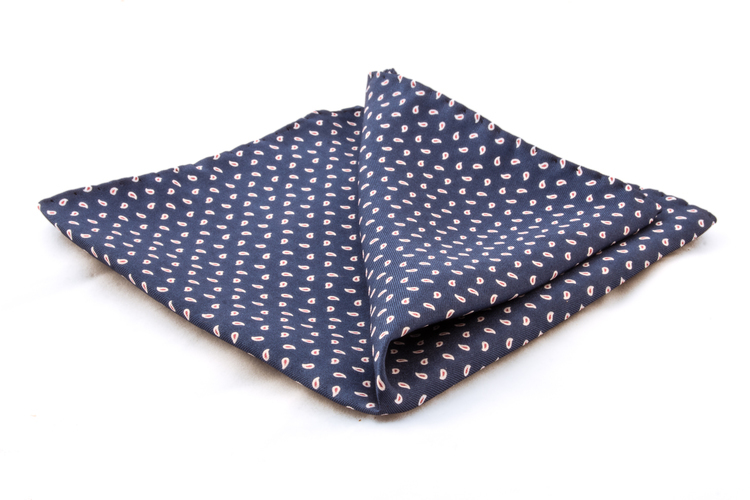 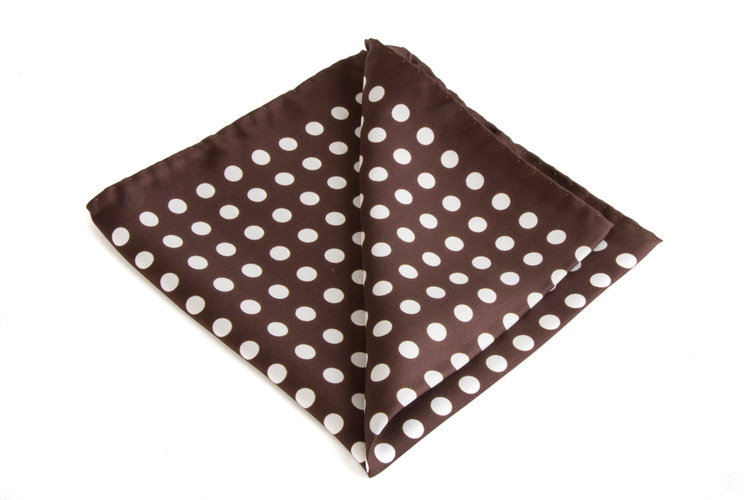 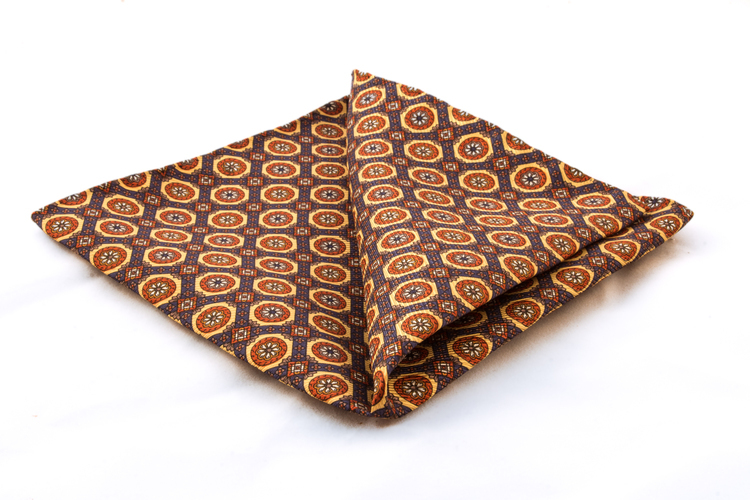 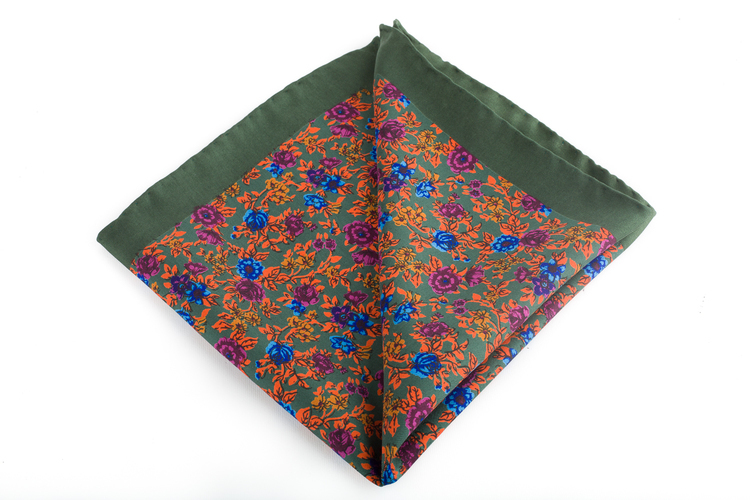 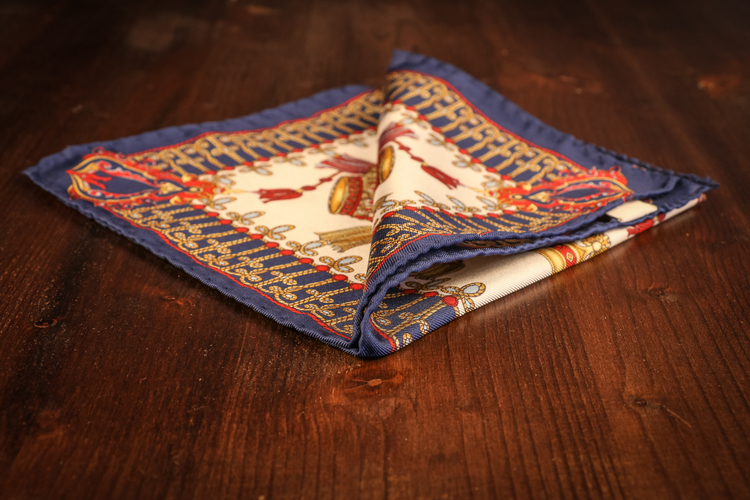 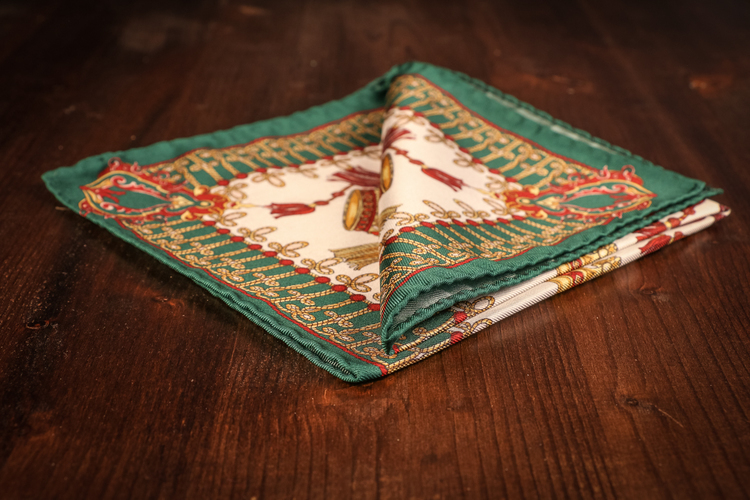 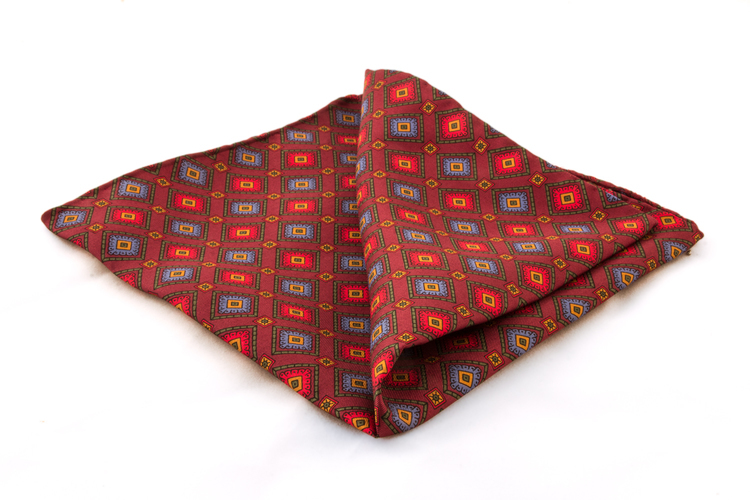 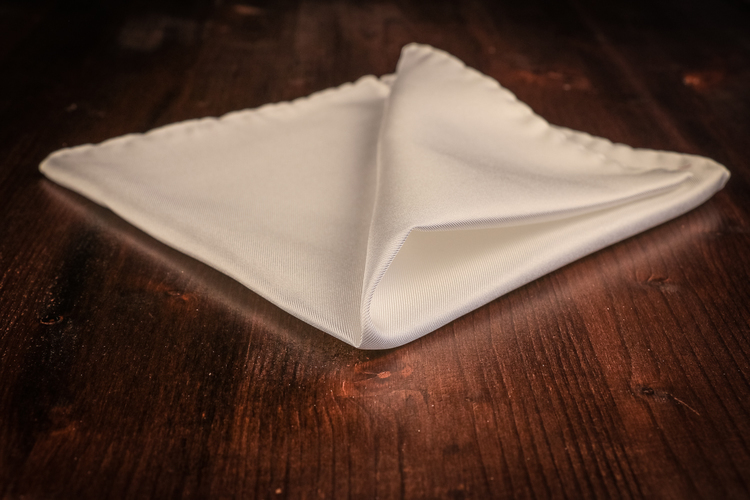 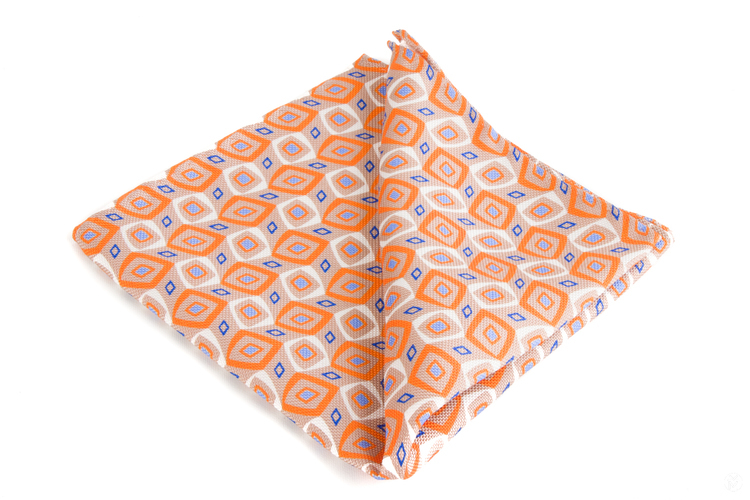 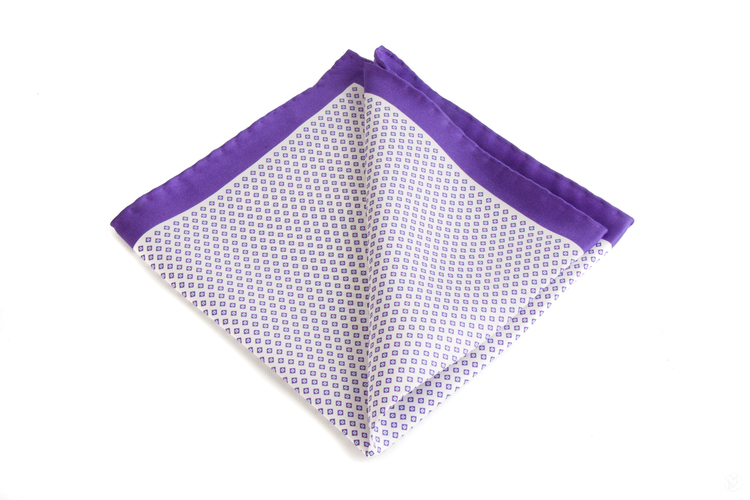 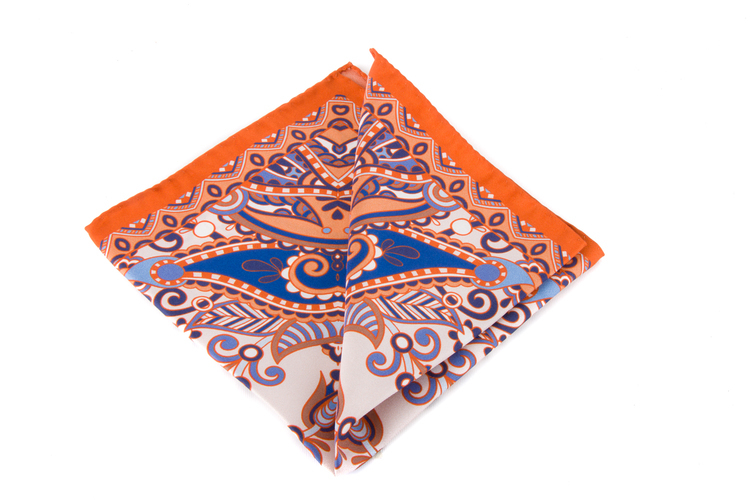 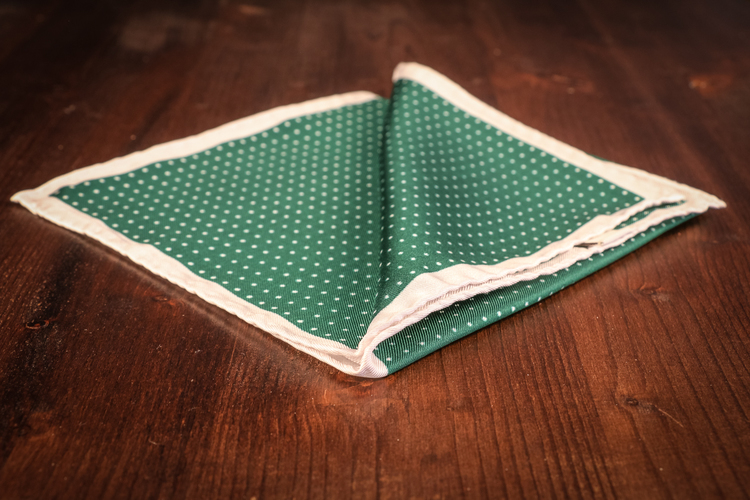 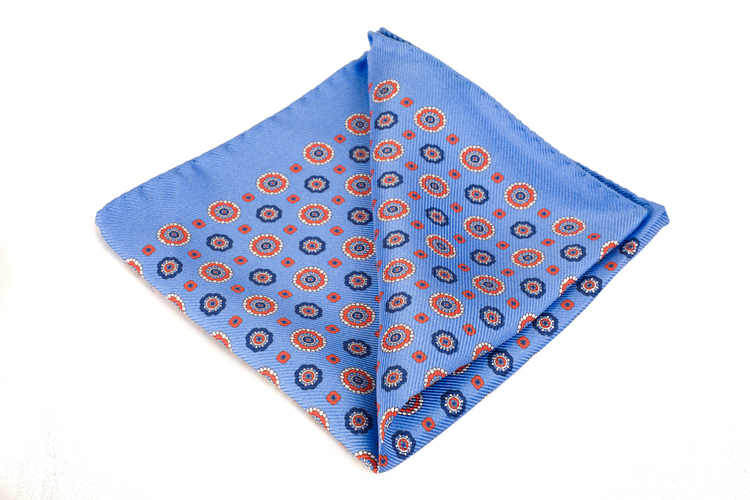 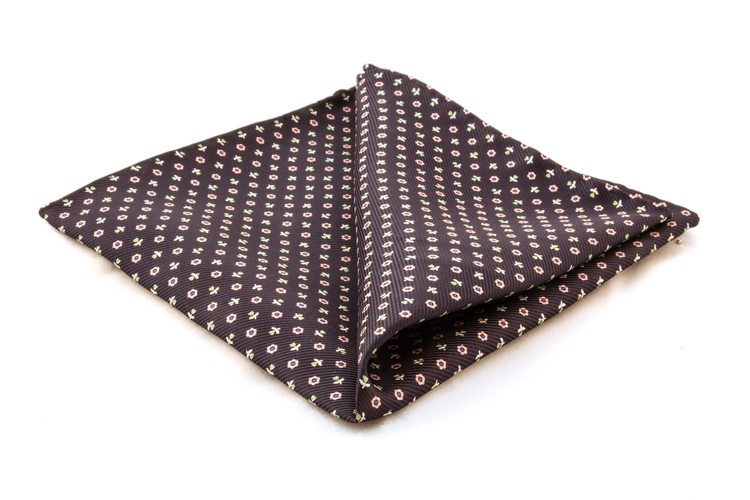 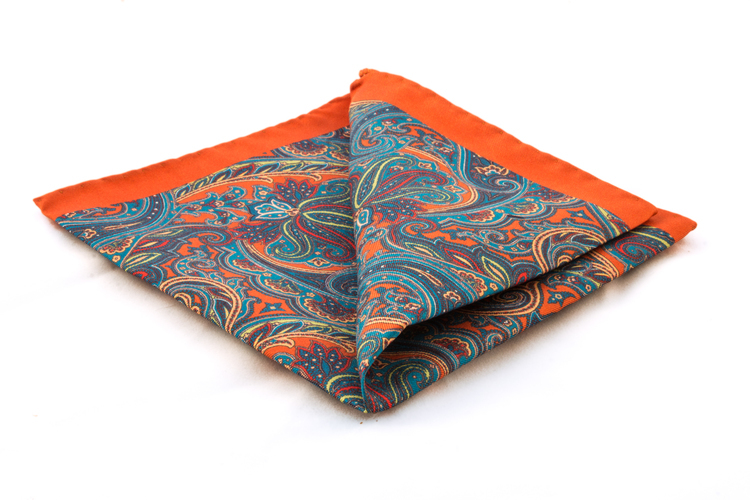 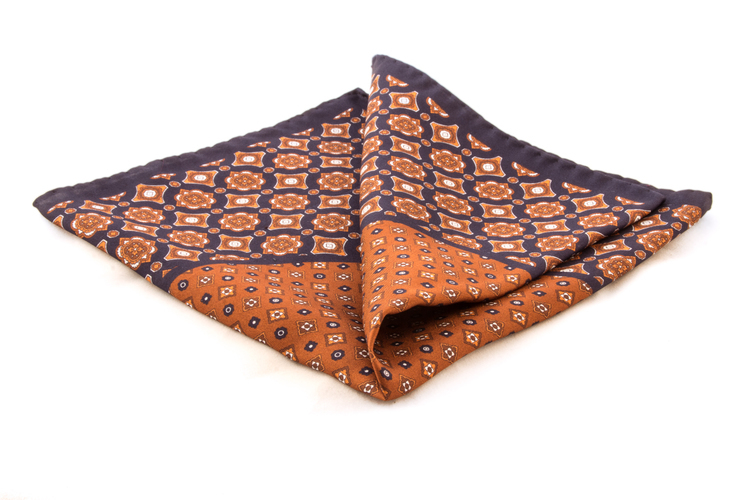 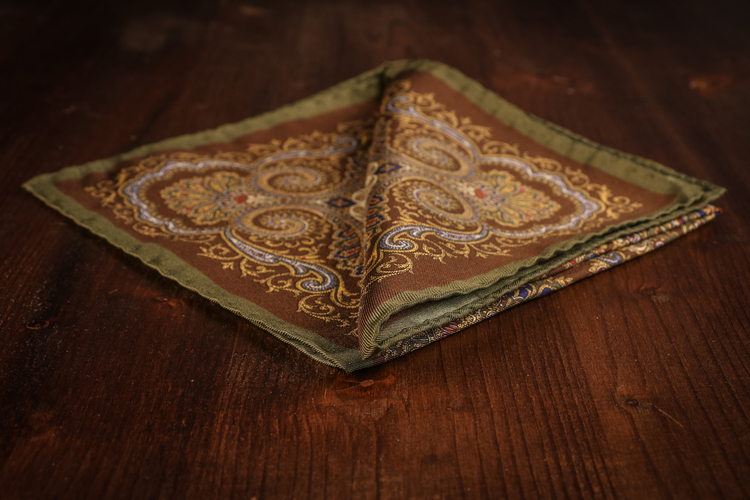 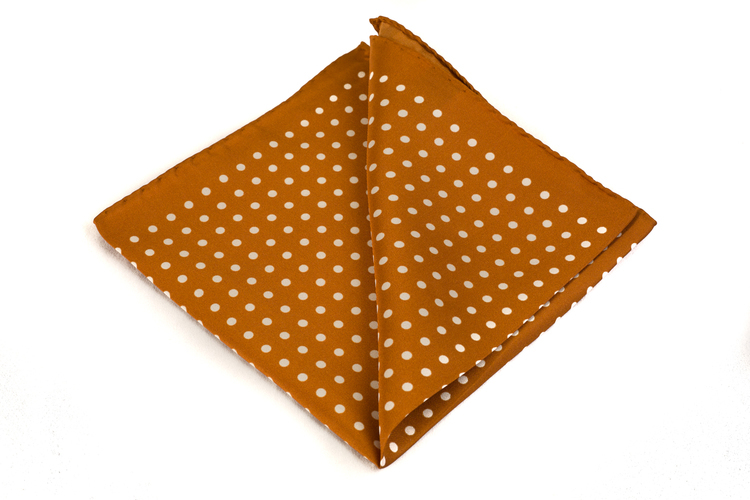 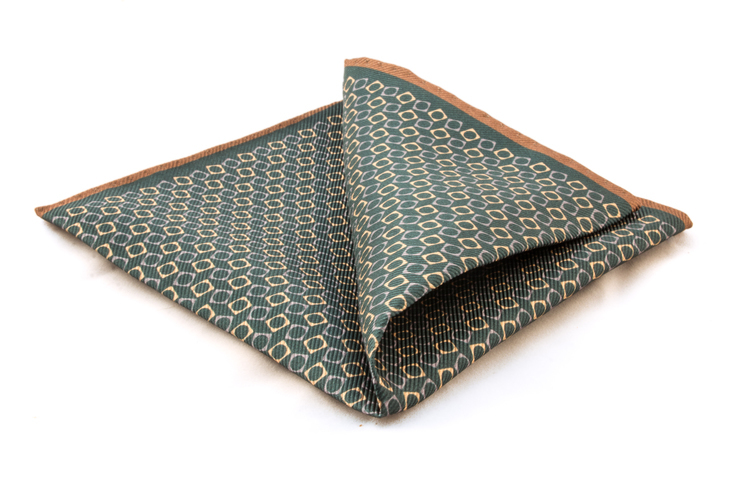 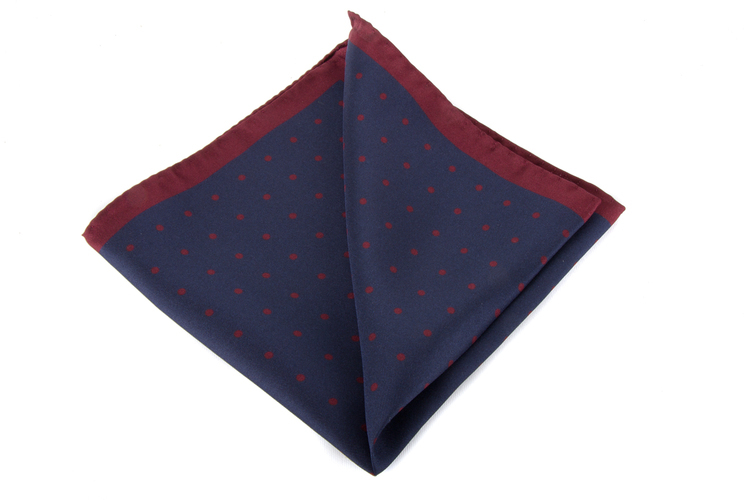 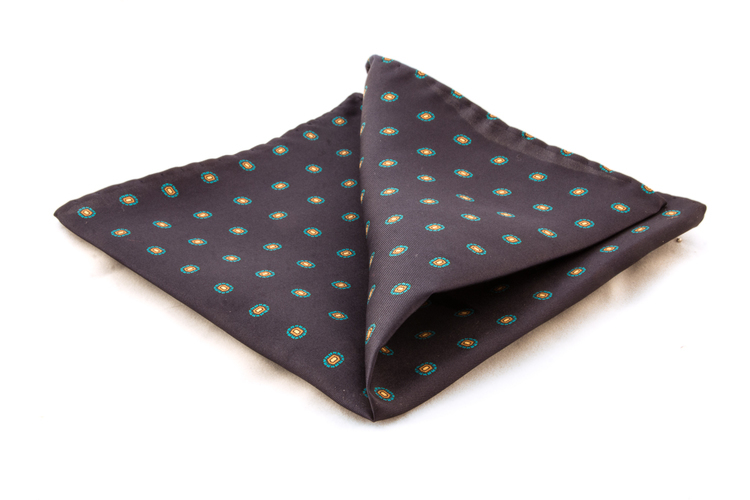 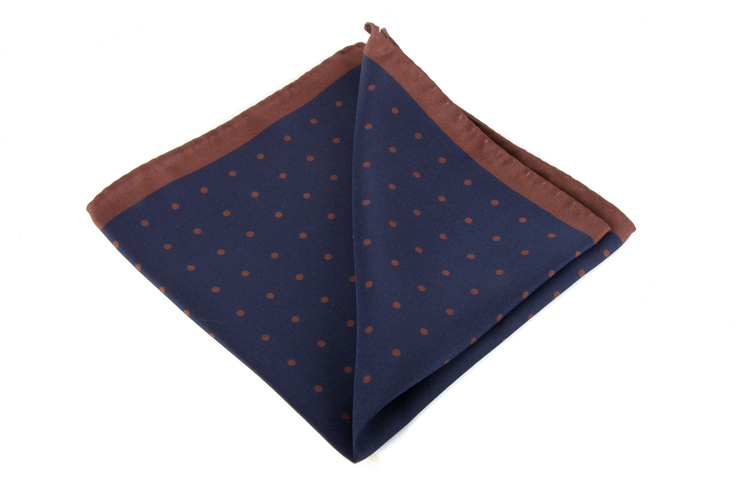 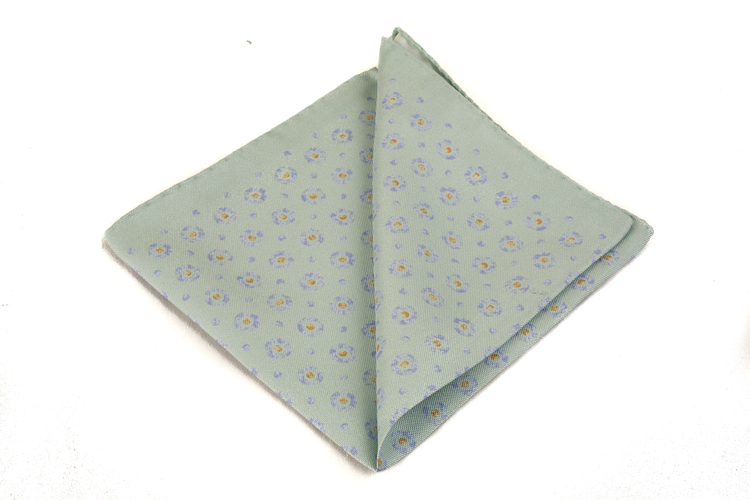 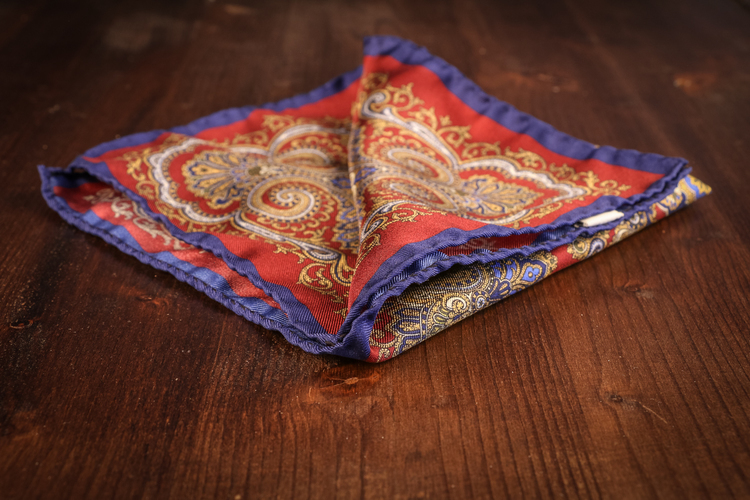 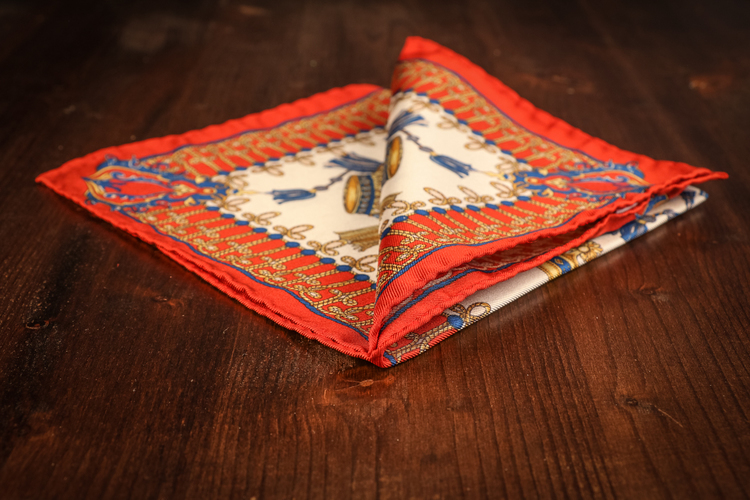 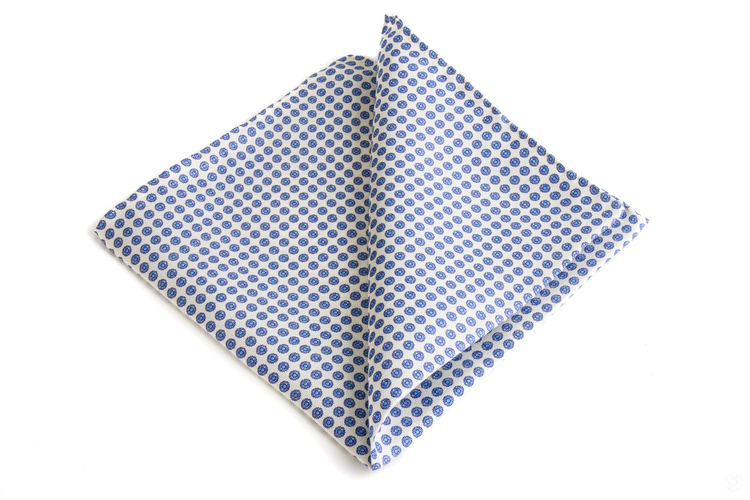 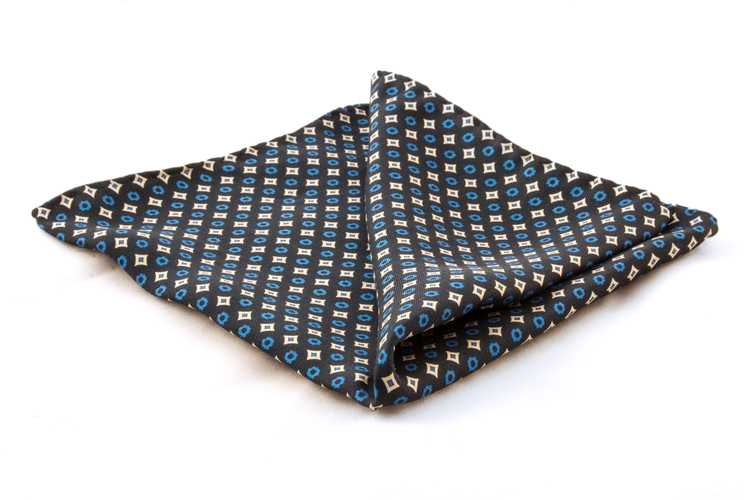 Our pocket squares are made in Italy in limited numbers.